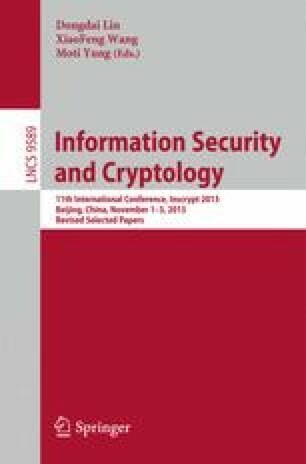 Statistical cryptanalysis is one of the most powerful tools to analyze symmetric key cryptographic primitives such as block ciphers. One of these attacks, the differential attack has been demonstrated to break a wide range of block ciphers. Block cipher proposals previously obtain a rough estimate of their security margin against differential attacks by counting the number of active S-Box along a differential path. However this method does not take into account the complex clustering effect of multiple differential paths. Analysis under full differential distributions have been studied for some extremely lightweight block ciphers such as KATAN and SIMON, but is still unknown for ciphers with relatively large block sizes. In this paper, we provide a framework to accurately estimate the full differential distribution of General Feistel Structure (GFS) block ciphers with relatively large block sizes. This framework acts as a convenient tool for block cipher designers to determine the security margin of their ciphers against differential attacks. We describe our theoretical model and demonstrate its correctness by performing experimental verification on a toy GFS cipher. We then apply our framework to two concrete GFS ciphers, LBlock and TWINE to derive their full differential distribution by using super computer. Based on the results, we are able to attack 25 rounds of TWINE-128 using a distinguishing attack, which is comparable to the best attack to date. Besides that, we are able to depict a correlation between the hamming weight of an input differential characteristic and the complexity of the attack. Based on the proposed framework, LBlock and TWINE have shown to have 178 and 208-bit security respectively. J. Chen is partly supported by the National Natural Science Foundation of China under Grant 61302161. A. Miyaji is partly supported by Grant-in-Aid for Scientific Research (C)(15K00183) and (15K00189). C. Su is partly supported by JSPS KAKENHI 15K16005.